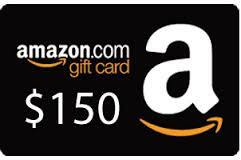 Refer a friend and enter to win a $150 Amazon Gift Card. Are September and October the season of Summer or Fall? Well this year it is neither! It is Referral Season! While we ALWAYS encourage you to tell your friends about AllClients, it is a special refer-a-friend season. Not only will you and your friend get a $5 discount every month, your September & October referrals will make you eligible to win a $150 Amazon Gift Card. This is not only a win-win. It is a win-win-win! Your referred friend wins by getting an AllClients subscription with a $5/mo discount. You win by getting your AllClients subscription rate reduced by $5/mo. You win again (hopefully) when your name is drawn and you win the $150 Amazon Gift Card! Hurry! Do it now! Refer-A-Friend! Who is the next person you know who can benefit from using AllClients? * Each Referral sent and activated (paid) in September and October 2016 will qualify for one entry in the drawing to take place in early November 2016.